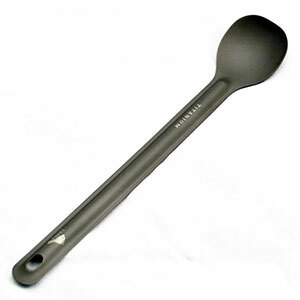 Beautifully made titanium utensils with a good balance, very nice finish. 1.7 ounce total weight, nice size. But lacks a carry pouch. Since there are several of us going on a trip I figured that I'd buy some Christmas presents for some of the others who will be on the trip and it would give me the opportunity to compare different items. 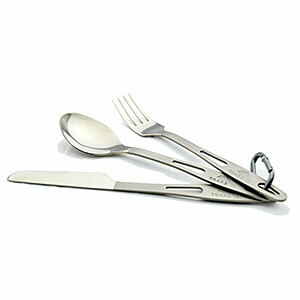 I purchased some TOAKS brand Titanium Cutlery sets and some Bamboo Cutlery sets. 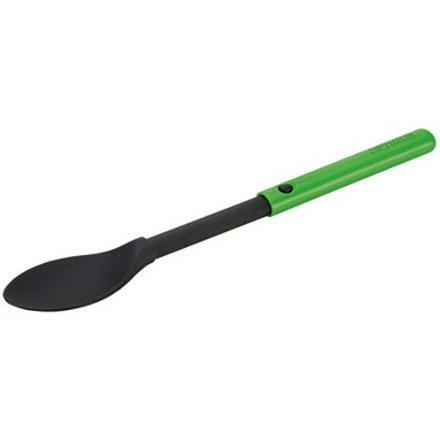 Each has some interesting advantages, but as I think you will see, the Bamboo spoon is nearly worthless and the Bamboo knife is an oddity that it hard to describe. The Titanium stuff is very traditional in form, well balanced in your hand, very functional, expensive, strong/stiff and yet amazingly lightweight. This is the stuff I am keeping for me and for my wife. Its about $18 per set for the 3 pieces. Not cheap. It weighs 1.7 ounces for the 3 piece set + the mini caribiner. There is NO case with this set and the mini-caribiner is almost too small to use. If you have fat fingers just throw the mini-caribiner away. If you have agile fingers then you can use it, for something??? As light as this set is, it feels good in the hand, the utinsels are roughly the same size and shape as the stuff in your kitchen drawer, and its strong. Titanium is stronger than steel, lighter than aluminum, doesn't rust. Pretty much the perfect material for the ultra-light hiker (other than the high cost). Close examination of the Toaks Titanium cutlery shows that this is a high quality set that a craftsman would appreciate using. Its finished very nicely with a brushed finish at the handles and a mirror polish at the use end. As light as the Toaks Titanium stuff is, this TO-GO-Ware is even lighter. The entire set, with the case, is 1.7 ounces. So same total weight but more parts. The set includes CHOPSTICKS, plus a CARRY CASE, plus a fork/knife/spoon and it even includes a lightweight small caribiner. Set cost was $11.55 from Amazon. Its supposed to be eco-friendly, even the little case is made of recycled materials. This stuff looks pretty good on the surface, and its supposed to stand up to repeated use/wash/use cycles. So compared to the Titanium stuff this is a bargain, more pieces and a lower price. 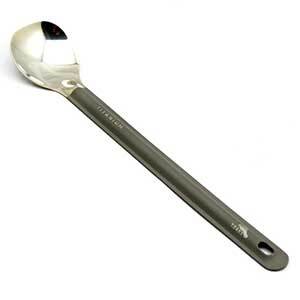 But close examination of the spoon shows that this spoon has almost no capacity to actually scoop any liquid into your mouth! Oh it would work for a hearty stew, chili or chunky style soup but anything with a thin broth is going to be an exercise is futility to consume. Then there is the knife? No serrations and a curved blade? By curved I mean a SIDEWAYS curve! I dunno why? 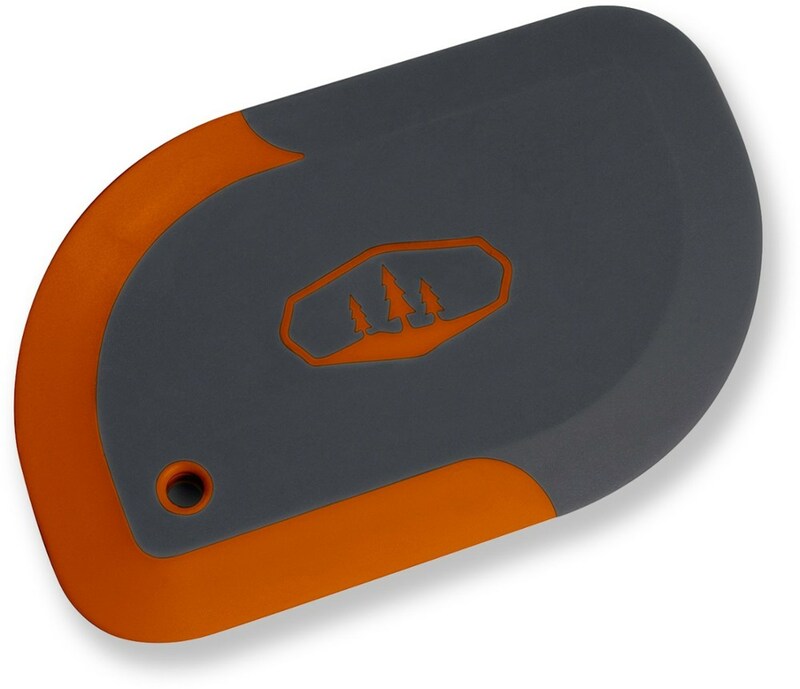 And not only does it lacks serrations but it also lacks a sharp edge. Sure, you can cut a stewed carrot or potato with it. Probably spread butter just fine and cut a muffin in half too, but don't go after that T-bone with this knife. . . or a hunk of dried salami. . . or even some hard cheese. 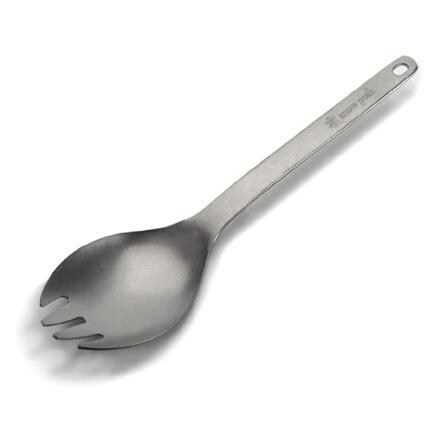 The fork is a 3 tine fork and its probably fine for eating just about anything. All 3 of these main cutlery pieces feel pretty good in your hand and the chopsticks also appear to be very functional, even if a little bit shorter than some of the pairs we have in our kitchen. All 5 pieces have a very nice smooth finish to them, all have some sort of food safe sealer applied. I just don't see the knife or spoon as particularly useful, with the spoon being the worse of the two pieces. While the caribiner with the Toaks Titanium is tiny, it is high quality and will stand up to years of reasonable use, I'd say that the aluminum (?) 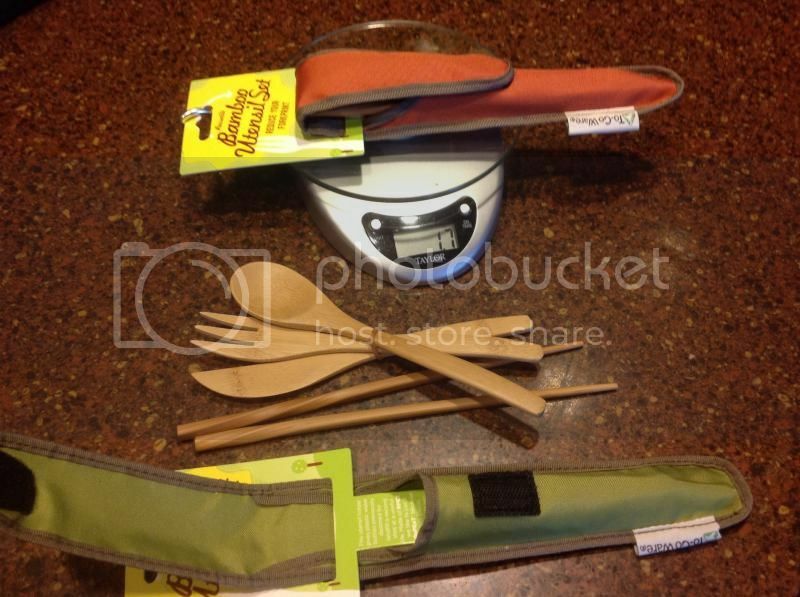 caribiner that comes with the TO-GO-WARE Bamboo set is a novelty piece that is better discarded than carried. It might work for a couple days, maybe a couple weeks, but its pretty much junk. 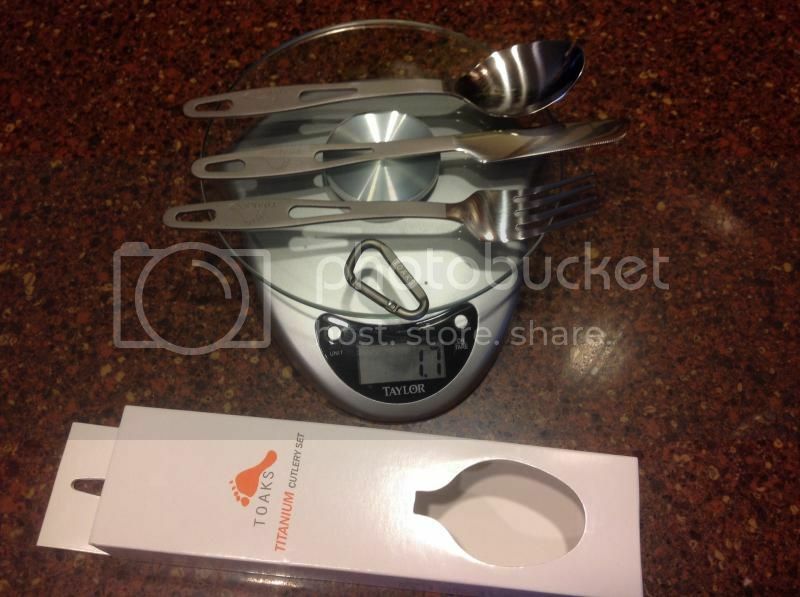 VERDICT: Between TO-GO-WARE Bamboo Cutlery and the Toaks Titanium Cutlery its the Toaks Titanium that is the easy choice, wreaks of quality and is actually useable . . . Unless you drive a Prius, then you'll buy the Bamboo stuff and show us how superior and eco-friendly you are while spilling your soup down your chin and gnawing your steak apart with your teeth because your knife can't cut meat . . . oh wait, you are probably a vegetarian if you buy the Bamboo stuff so cutting a steak is not an issue for you . . . but the soup spoon will dribble all over you!